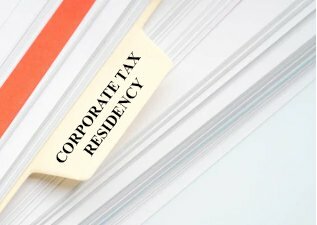 To determine the corporate tax residency of a company in Singapore, the Inland Revenue Authority Of Singapore (IRAS) looks for the said company’s “fixed place of operation”. This is also important for IRAS before it decides on giving a Singapore-based company exemption on its foreign-sourced service income. Generally, the “fixed place of operation” refers to a place of management, an office, or a certain amount of floor space, with a degree of permanence and regular usage. IRAS usually takes into account from where the management and control of the company was exercised, the place of residence of the company directors, and location of the books and records of the company, before deciding the residency of a company and issuing a Certificate of Residence (COR). Corporate Income Tax Returns commonly known as Form C-S or Form C by November 30, or December 15, in case of e-filing, of each year except dormant companies for which IRAS has waived the requirement to file. Seek the expertise of experienced professionals to ensure you get all the critical details right when filing corporate taxes. Every company in Singapore is free to determine its financial year end (FYE), which does not necessarily have to be December 31. It is advisable though to keep the company’s FYE within 365 days in order to enjoy the zero tax exemption for new start-up companies, except for investment holding company and company which undertakes property development for sale, for investment or both. Consult qualified experts to learn about Singapore corporate taxation, including proper IRAS corporate tax filing procedures, and corporate income tax residency criteria of Singapore.